This is even true for traditionally published authors, though their publisher may be of assistance there. The reality is that you can’t sell books without a platform, a presence, especially online. 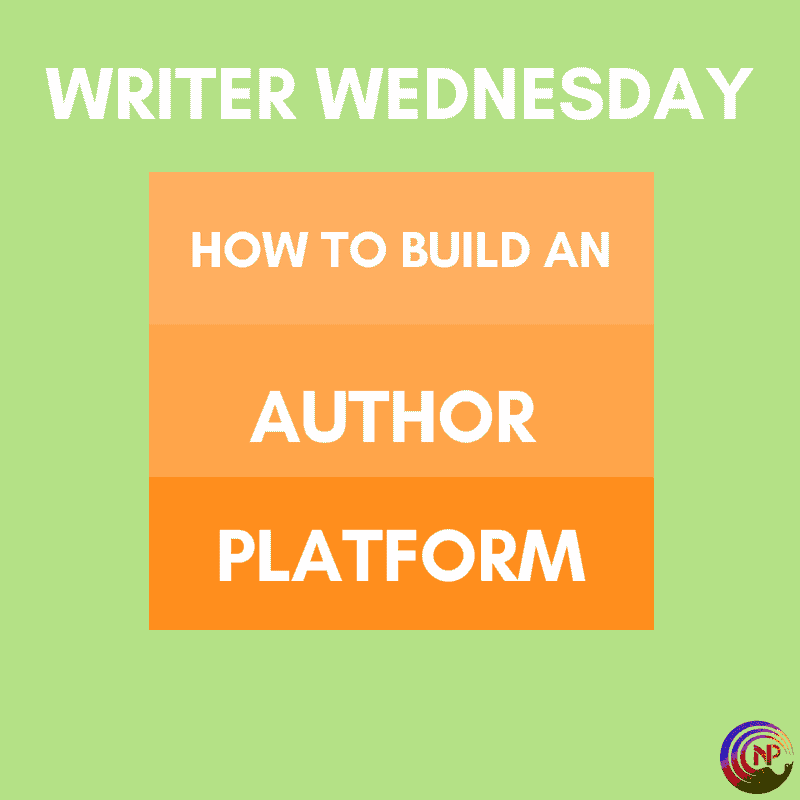 In this edition of Writers Wednesday, we’ll explore what that author platform can look like. One of the first decisions you’ll have to make is whether you want to publish under your own name or a pen name. In either case, make that decision ahead of time, because you’ll need it for everything else. We’ll talk about how to choose a pen name some other time. For name recognition, you want your social media names to be as close to your pen name as possible. That way, you can start building connections and people will come to recognize your name. Be very careful with multiple Facebook accounts, as it’s not allowed. You’ll either have to give up your personal one or run the risk of having your pen name one shut down. Some authors report that Facebook kind-of allows it when you’ve officially registered your pen name as a DBA (doing business as – Google it. American term), but it’s definitely not official policy. These are the basics, but your focus depends on what stage of your writing career you’re in. I’ll explain this below. This is where you’re starting out with building your author platform. My advice is to start connecting with authors and readers in your genre. In gay romance, Facebook is an excellent way, but Twitter works as well. Friend authors in your genre (or “follow” them on Facebook without friending), join their reader groups, and start becoming active. I have over 1,000 people in my Facebook group, but I recognize the names of my active members. If you pop in for a few minutes each day, comment, leave a helpful post, etc., you will get noticed by the authors and the readers. It really is that simple. Also, subscribe to every author’s newsletter and start stalking their online interactions. It will help you see what the social norms are, what works, and what doesn’t. On Twitter, find connection by looking through the friends of big name authors in your genre and befriend their friends. Start with all the authors, then start adding people who engage with them regularly. Other than that, it’s a matter of being consistent in your presence, and joining the conversation. Your biggest task in this phase, aside from writing, is researching. Find out what you can about book marketing. Teach yourself how to set up a newsletter, how to build a website (or hire someone to do it for you…), make sure you get proficient in social media, etc. When you’re getting ready to publish, you can ramp up your networking. If you’ve been active in author groups, you can now try to get on ARC teams, offer to be a beta reader, consistently promote other authors, etc. Be helpful and people will notice, but…if they don’t, don’t get upset. If your ultimate goal is to get something out of it, it may backfire. Let your love for the genre, for books be your biggest motivation, not to get seen or get promoted yourself. What really is crucial in this phase is networking with other authors. You may be tempted to try and become friends with the big names, but why not find a few authors in your genre who are starting out, like you? The advantage is that you can help each other, for instance beta read for each other, promote each other, etc. It will help you get valuable feedback and build your confidence. Now is also the time to start your website and your newsletter. Both will be dreadfully bare at first and make you feel like a total poser…but that’s okay. We all started at zero. Hell, a year ago I hadn’t even registered this pen name, I didn’t have an online presence yet, and nobody knew me. Just saying. You could write a freebie and throw it on a site like Instafreebie to get your first newsletter subscribers. Only do this when you know you’ll publish that first book soon, otherwise it’s a waste of effort. And you could consider starting a reader group on Facebook. Again, this will feel scary as hell. I get it. I started my group Nora’s Nook on September 13 2017…with two members aside from me, two authors who had taken me under their wing, K.M. Neuhold and Michele Notaro. Now, I’m at almost 1100 members. It’s taken hard work to get there (and I’d be happy to talk about this in more detail in another post), but I’m just saying: we all started at zero. If you can manage it, try to go to a conference in this stage. I went to GRL (GayRom Lit retreat) last year just before publishing No Filter, my first book. It turned out to be a key factor in why that book did so well for a debut. I networked the hell out of that conference, even though I was there as a reader and not as an author. This year, I’ll be attending as featured author. This is also when you can get more serious about advertising (which is less effective without a back list). Now, obviously these are broad, broad strokes without much detail. I’ll try to cover some aspects in more details in upcoming posts but let me know what you’d like more detail about by commenting with your specific questions! This is so helpful Nora! I did a lot of what you suggested when I started out writing ( pen name. Check. Build social media. Check.) Website… I have a domain… And I point my permanent blog address to my WordPress blog until I can port it over over to my hosted domain. Sigh. Still working on that. Have you done a post about building the website piece (or getting someone to manage it for you)? I think that’s my next step. I’m about to publish my first official work in a couple of months. I probably need to step up my website/blog/newsletter game. 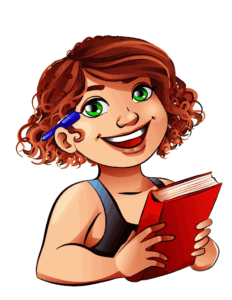 I haven’t talked about author websites yet, so on the list it goes! And I’m so glad this post was useful to you. And yes, I see you doing the phase one stuff, so you’re doing a great job! So useful, I’m in phase one. I’ve picked a name at least. But I am not sure exactly how to approach the social media, because I’m in a lot of groups already as me. And I’d hate to lose those connections to friends and authors by becoming “someone else” and starting over 🙁 and, to make it more complicated, I’m also planning to publish in another genre under my actual name so I don’t want to lose all these contacts entirely.